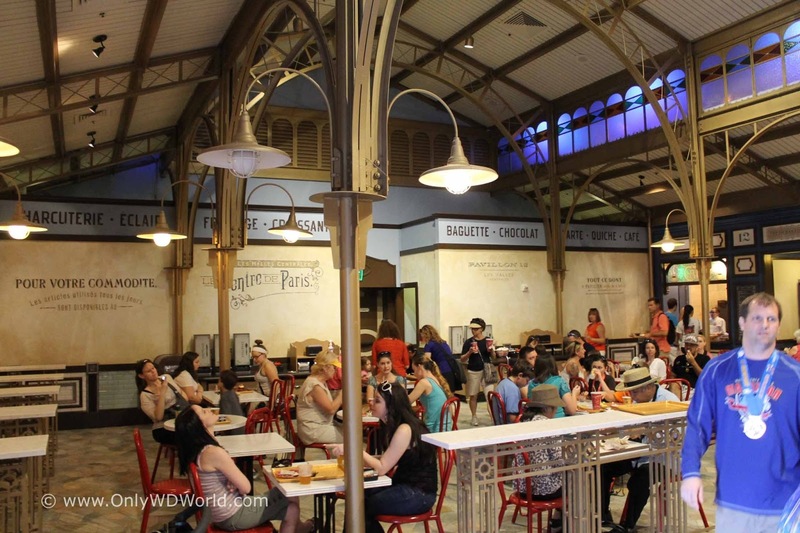 Disney World Guests have long enjoyed the treats that could be found in the France Pavilion of Epcot's World Showcase at a bakery called Boulangerie Patisserie. 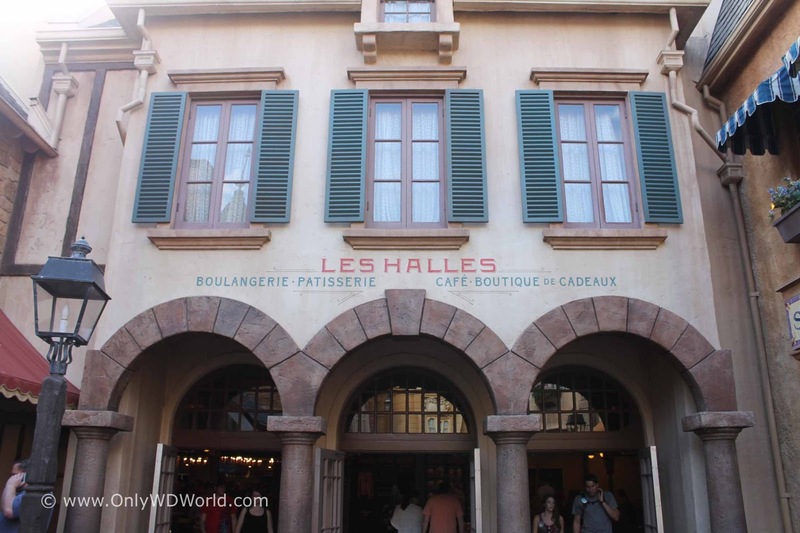 Visitors to Epcot will now notice that the location for these french sweets has changed. They have moved down the street, so to speak, to a bigger location. 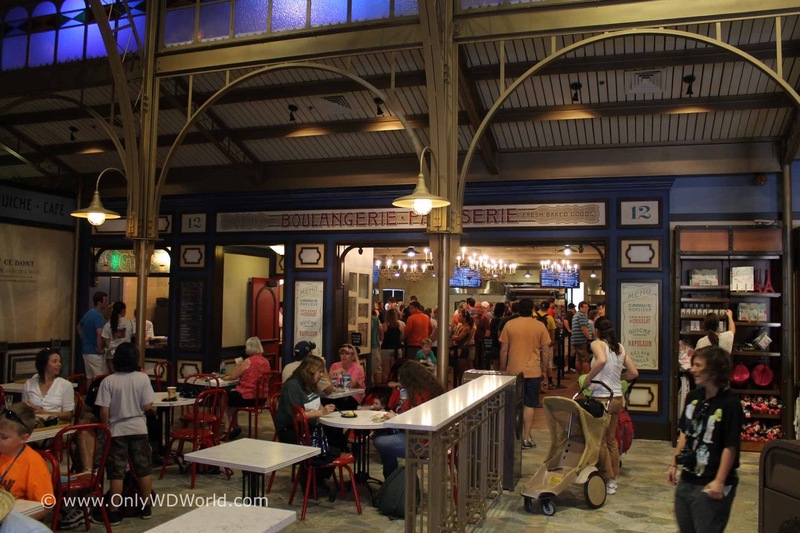 Co-located with the gift shop at the exit to Impressions de France, the new Boulangerie Patisserie now has a large indoor seatings area and a much expanded counter area to order from. 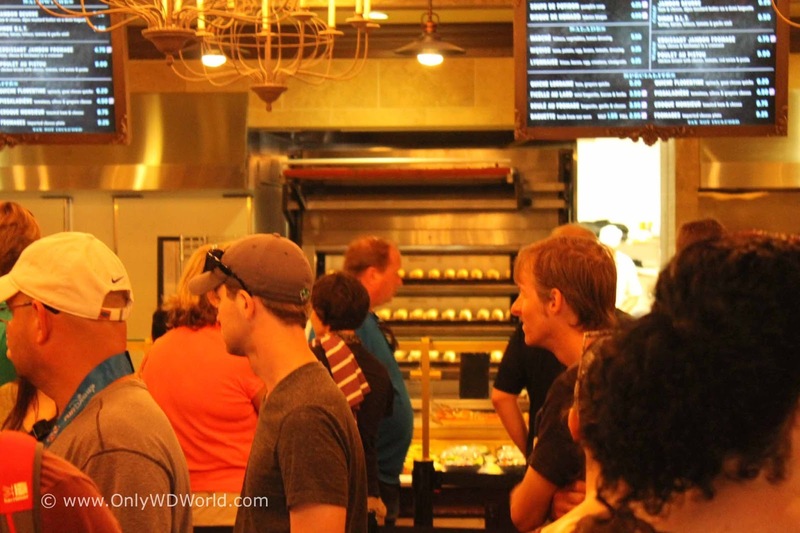 The menu has also expanded beyond bakery into a full fledged Quick Service Dining location. 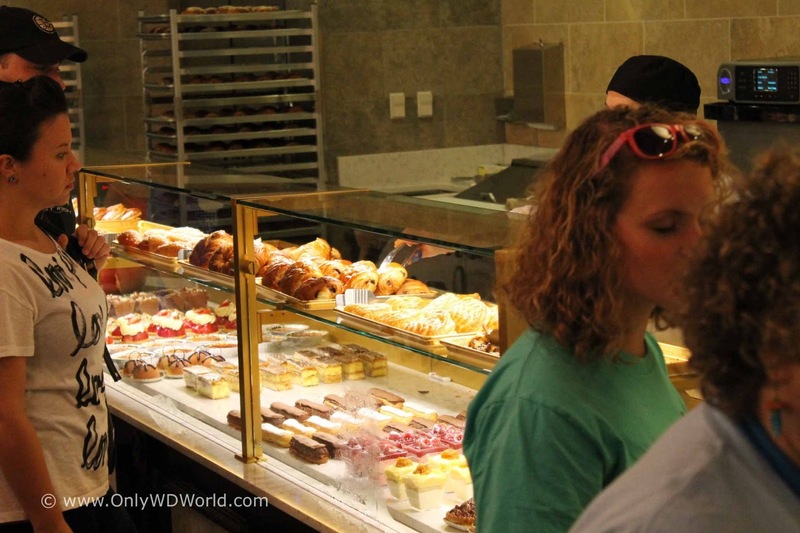 You can still get your favorite pastries, but you now can get sandwiches, quiches, soups, & salads, as well. 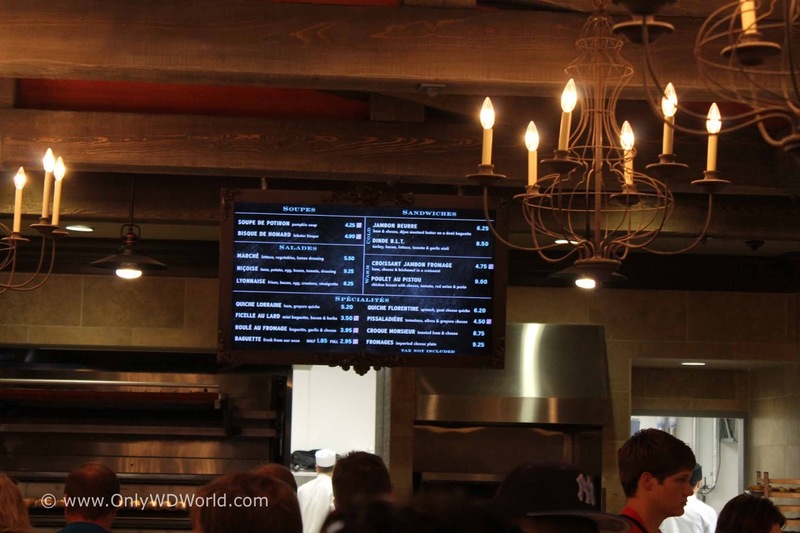 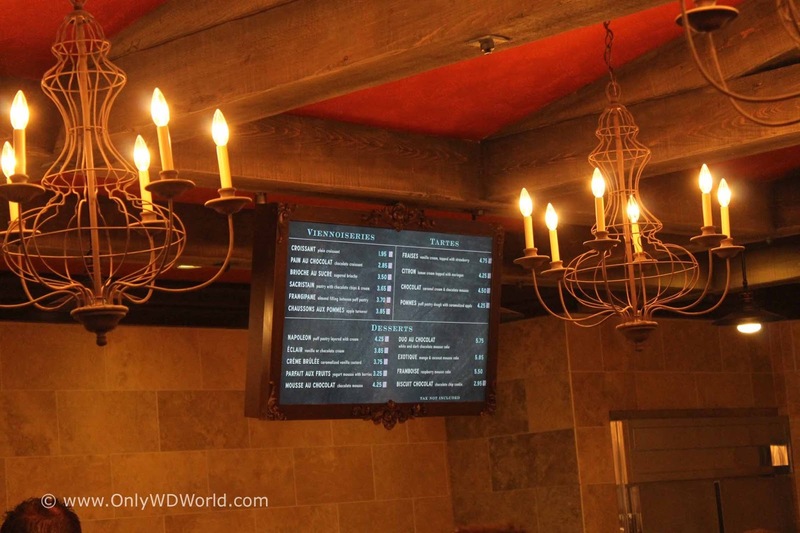 Above are pictured the various menu boards so that you can see the full listing of available food items, dessert treats, and drinks that are now available. 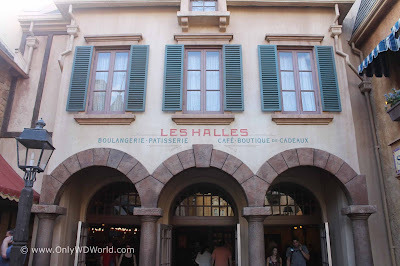 If you have always been a fan of the Boulangerie Patisserie and thought it was your special secret tucked away in the back of the France Pavilion, your secret is now out. The good news is that the new version is larger and better than ever. 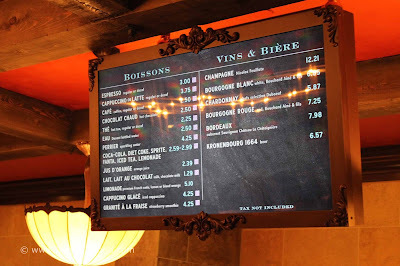 Enjoy and if you can't make up your mind, try the Napoleon! 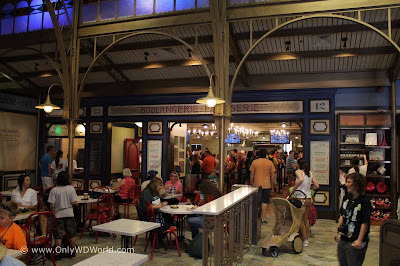 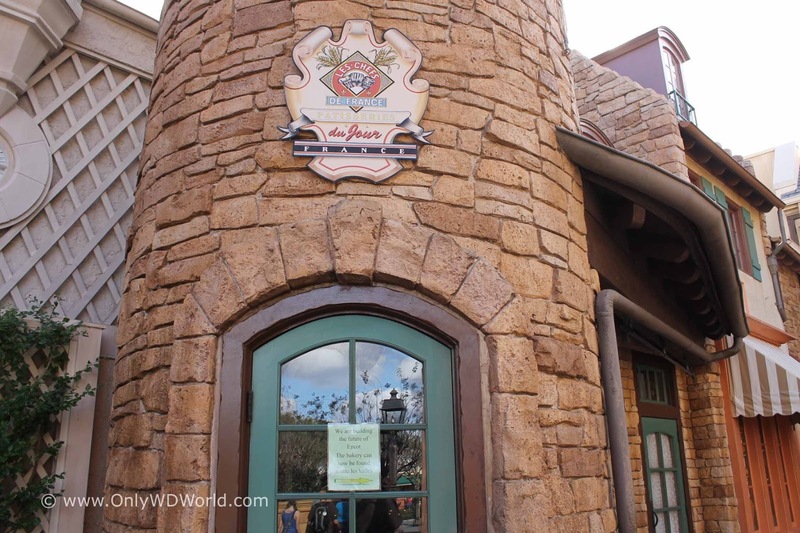 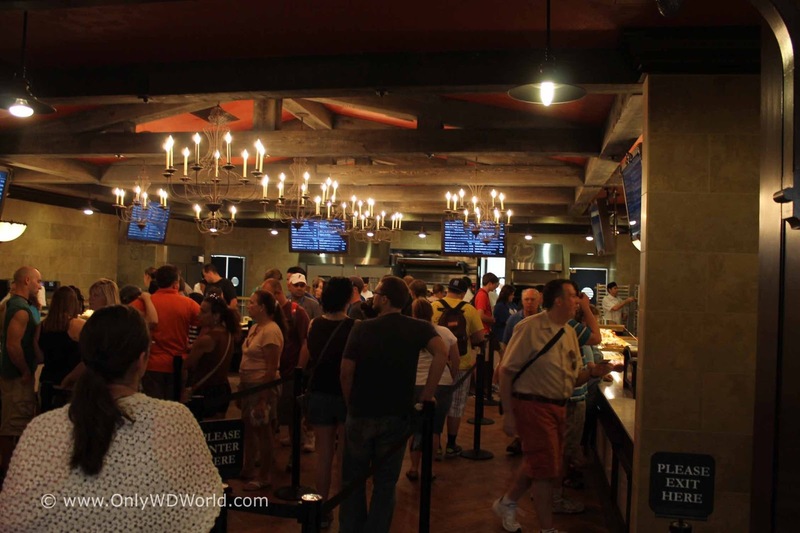 0 comments to "Epcot's Boulangerie Patisserie Has New Location & Expanded Menu"